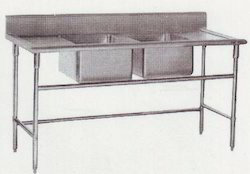 With a focus on the ever-evolving demands of our customers, we have come up with a wide range of uniquely designed Double Bowl Sink. 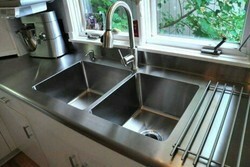 Our firm is ranked amongst the reputed names in the market for offering an extensive range of SS Double Sink. Besides, we present this series to our clients at nominal prices. - Solid Double Wall Steel construction. - Available in the matte finish. - 16″ diameter x 6″ deep.